Happy face working pocket 28, Mt. Mica, 2004. The etched beryls at the left are from the August 10, 2000 pocket. At the right is the 'Pespi Can' elbaite, found December 2004, Mt. Mica . Selected Links: Logo or names are links. Reproductions of Augustus C. Hamlin's two books on Mount Mica circa 1870 & 1895. The Tourmaline and The History of Mount Mica. Publisher in geological sciences, with emphasis concerning Pegmatology, Mineralogy and Petrology. mines or screen for gems right at their site on route 26 in West Paris, Maine. to the needs of the pegmatite mineral collector, enthusiast or geologist, whether as individuals or as a Group. mineral specimens, study the geology and enjoy the opportunity unavailable to the general public. They may be snowed in and frost bitten , but it is time to sign up for the 18th Maine Annual Mineral Symposium. background or level of involvement, you are welcome to participate. Art in Geosciences is a website spanning economic geology, applied sedimentology, ore mineralogy,petrography and geomorphology. The author’s field of interest and studies rest on pegmatites in NE Bavaria (Germany) and elsewhere in the world (Mongolia, Malaw, Vietnam) with special emphasis placed upon the heavy minerals in the clastic aureole around pegmatites and gemstones/ precious stones within the pegmatites and their wall rocks. 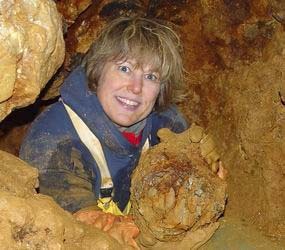 Pegmatites International is a site intended for those who have experienced the Wonderful World of "Pegmatology"
the professional geologist and the beginning and graduate student. Pocket. Don't miss the mineral museum highlighting many great mineral specimens from Oxford County. Hummingbird Minerals is new online mineral shop featuring affordable yet quality mineral, rock and crystals specimens. 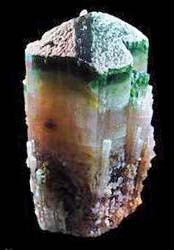 Mineralen.com is the mineral site for all collectors and people who are interested in minerals, geology and gems. mineral-links to resources on the internet, some discussion forums and more... visit and enjoy the treasures of our earth! Toveco specimen mining. These guys 'Dig their stuff'. Site covers flourite and beryl mining in New Hampshire, USA. 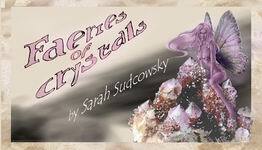 The finest in precious stones to the trade. and a wide assortment of specimens from the Mogok Stone Tract in Upper Burma. .Claus Hedegaard, A Danish website, describes world wide localities (e.g., Tsumeb, Wagholi, ElDesierto) he has visited. his literature wants and duplicates. Links to Museums and other sites. the newly re-discovered Perry Petalite Prospect in Peru, Maine. and information about upcoming shows and conferences.